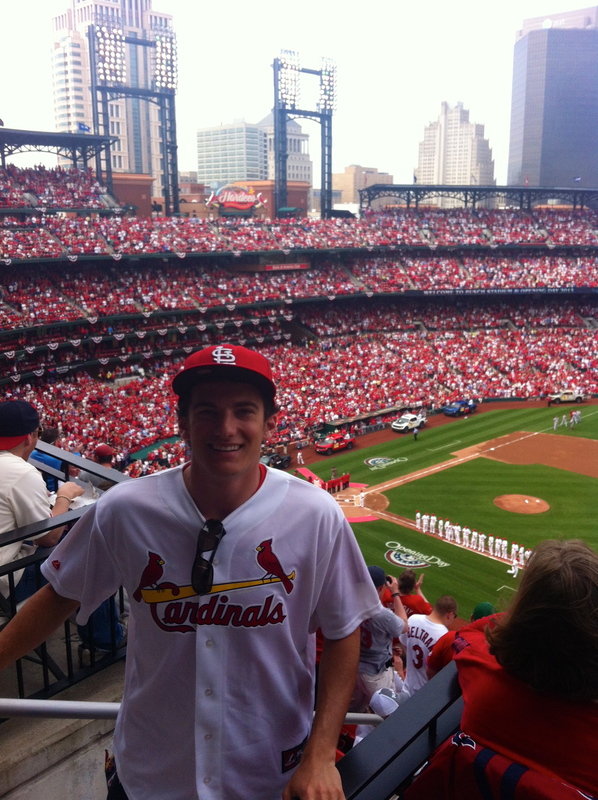 For the third year in a row, I attended Opening Day of the St. Louis Cardinals. As a city that lives and breathes baseball, Opening Day is almost a public holiday with tens of thousands of people flocking down to Busch Stadium to watch the Redbirds play. Tickets to this game are between 10-20 times as expensive as a normal game, which means that a lot of people around the stadium are just there for the atmosphere and the bar-scene. 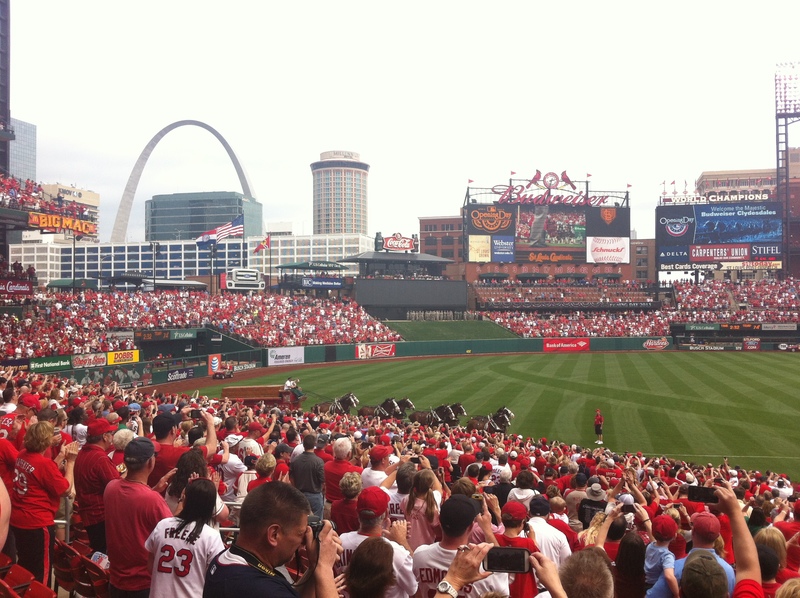 The game is preceded by a parade through the stadium including all the Cardinal greats still alive, the current team, and St. Louis’ own Budweiser Clydesdales. This year was especially emotional because of the passing of #6 Stan “The Man” Musial, the greatest Cardinal to ever live. A special tribute video was played and the stadium unveiled a 6 logo as part of the new home-run wall. My seat was considered the nosebleed section, but nobody really cares because getting into Opening Day is the important goal. I was seated next to a young preacher from Ferguson who was drinking with his congregation at the game. The Cardinals ended up losing badly with the visiting Reds scoring 9 runs in the ninth inning. However, the game result did not matter to most people in the stands; what mattered what that the Cardinals are back in business. My grandmother Maxine was raised in St. Louis and her family was somehow related to the Annheiser family (I think through a marriage). She moved to CA (after her husband died from leukemia) with her two young children. I’ve only heard stories of St. Louis so following you through it will be very enlightening!